I hate to mention the C word, but it’s almost that time of year again, and I know lots of people are thinking now, in these economic times, what can I get friends and family that will add some value to their life, and won’t cost the earth either? Well, the right book I always think makes the perfect Christmas present. And how about an ebook? 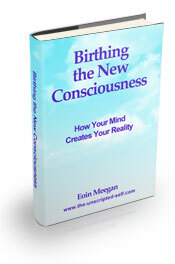 And now, I know I’m biased, but wouldn’t Birthing the New Consciousness make a lovely gift for the one you love? Go on, make that click! Ok. It’s been a while since I talked about my ebook so let’s review what it’s about. The subject matter is consciousness. At our very core we are all beings of light, of spirit, and the universe is really a very peaceful place. All the noise and confusion that’s going on, is really because of your thoughts about the world, and not the world itself. When we discover how this works then we start to change. The book further explores the illusory nature of the ‘past’, shadow material that if left unresolved can hold us back. It proposes happiness as our true, innate, state. It explains why we engage in something I call compensation thinking, often to our detriment. As well as discussing what your ‘background mural’ is. If this isn’t clear then all the positive thinking in the world won’t do you any good. And it’s not all talk and theory. I also give many practical exercises that make it easy to attain a state of higher consciousness. This doesn’t mean you have to give up anything (a common mistake) it simply means when we’re operating from a higher consciousness everything is easier, and life works better for us. It’s like you’re standing on flat ground now, with awakened consciousness you’ll be standing on a mountain top, and consequently will have greater scope, vision, clarity. Things are just plain easier when we waken up. And at $27 or around 19 euro it’s a steal! Ok. After that blatant piece of self promotion, let’s get down to some work. I got to think a lot this month about dreams, and the relationship between the dreams we have when sleeping and the ‘real’ world. I’m not sure what triggered this off, I think it was an actual dream I had, one of those false awakening ones, you know when you think you’re awake, and you’re not (yea, annoying). And I thought what if the reality we take for granted, and accept without question, was just another dream, played out at a higher level? I explore this theme in two pieces The Dream Mind: the sensory world in your dreams, and Are we dreaming the world around us? The first examines the nature of dreams, lucid dreaming, false awakenings, etc., while the second, posted incidentally on 11.11.11 (I’m not sure if you’re auspicious about dates) takes it in a further direction. So, could our everyday existence be just another kind of dream? I’ll have more to say on the subject in the future, not so much a series as related material. I seem to be fascinated with it at the moment. But for now I’ll end with a piece from A Course in Miracles. I’d be interested in hearing your feedback. “Dreams show you that you have the power to make a world as you would have it be, and that because you want it you see it. And while you see it you do not doubt that it is real. Yet here is a world, clearly within your mind, that seems to be outside. You do not respond to it as though you made it, nor do you realize that the emotions the dream produces must come from you. It is the figures in the dream and what they do that seem to make the dream. You do not realize that you are making them act out for you, for if you did the guilt would not be theirs, and the illusion of satisfaction would be gone. In dreams these features are not obscure. You seem to waken, and the dream is gone. Yet what you fail to recognize is that what caused the dream has not gone with it. Your wish to make another world that is not real remains with you. And what you seem to awaken to is but another form of this same world you see in dreams. All your time is spent in dreaming. Your sleeping and your waking dreams have different forms, and that is all.” ACIM (text). I’ve been busy elsewhere on the blogosphere this month. I wrote an article Conscious Living in 5 Easy Steps for The Change Blog where I explore 5 practical things you can do that will help maintain and deepen awareness. Many people have an awakening experience, but then do nothing more about it. It’s not that it goes away but a thing called life can get in the way. But if we do certain things regularly we reinforce that awakening and deepen it. If we do nothing, well, old habits can resurface with alarming rapidity. The article received a lot of positive feedback. Do have a look. And feel free to leave a message in the comment box. While you’re there have a look at some of the other excellent articles. The Change Blog is run by Peter Clemens and is another great source for personal development and awakening. Also you might want to check out Life Scripts: Are They Unconsciously Running Your Life? which I wrote for EzineArticles. The theme is one I think you’re familiar with. So plenty of reading to get your teeth into this month. This month’s big news: we’ve a new president here in Ireland. 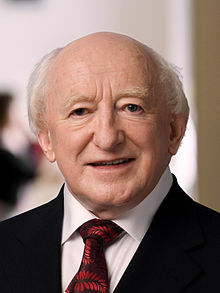 Michael D. Higgins was inaugurated the ninth president of Ireland on Friday (the 11.11.11 aha!) A man I have a lot of time for. Michael D is cultured, wise, savvy, and compassionate. I think he will represent this country very well. He’s also a poet. He’s a man who was speaking out on behalf of those who were denied justice and human rights long before it was trendy to do so. So the uss would like to congratulate Michael D. and wish him great success in his presidency. I think he will oversee great change in this country. I’m one of the few who believe Ireland has a future. We won’t be always on our knees! Ailanti therapy.com are running a series of workshops and events over the coming weeks. Actually I will be giving one of these workshops myself at a date to be announced in the near future. I’ll keep you posted. But first on Nov 26th, there is Manifesting Your Dreams. It promises to explore practical ways to use the Law of Attraction, also incorporating aspects of Feng Shui. Sounds very interesting indeed. It’s next Saturday so if you want to go you better hurry as I think places are booking out fast. I don’t read much fiction as a rule, but when I do I actually like the scary stuff (yes!) and I sat up into the wee small hours last night finishing Ali’s first novel. It’s a cracking read, fast and pacy, and concerns an online game that comes to life. I love the play here between the virtual world and the real one. What struck me was the similarity between this world and what I was talking about above ‘dreams vs reality’. The virtual world of the internet (where sadly too many people live) is another model of what our ‘reality’ may be, some kind of artificial creation perhaps, or state that we create in our mind. And then have to live in the damn place! Apart from loving the book (there’s another good idea for Christmas!) another reason I mention this is because I will be talking to Ali in the next instalment of Voices Unscripted right here on the uss folks. Look out for that very shortly. Special request. Please send love, healing and well wishes to Robert Lowe. Also to the victims and their relatives of the recent earthquake in Turkey. And to Libya that the people there may create a peaceful and just country, also throughout the troubled Arab world. That’s all for now folks. Talk to you next month.